Amy Moore, rapid application development team leader for Plante Moran visited the InformationWeek News Desk at Interop ITX to take us through their process for moving their nearly 10-year-old legacy intranet over to the Microsoft suite of cloud products. Moore says instead of trying to tackle all of the moving parts at once, they decided rolled out new technology with an agile approach. The migration, which took Plante Moran less than 18 months, resulted in 100% increase in employee engagement on the intranet and $600K in IT cost savings. 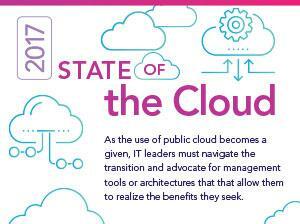 To learn more about this cloud transformation, watch the video above.